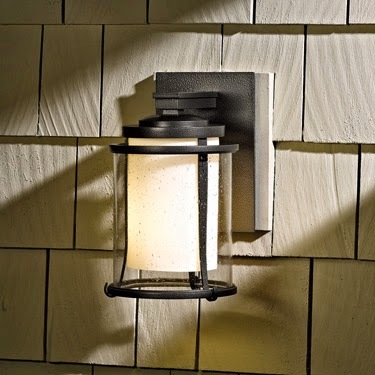 Your outdoor lighting fixtures are one of the first thing people notice when they look at your house. The fixtures set the tone and say a lot about the home owners. There are many, many different types, styles, sizes and quality levels of exterior lights so you should learn some of the basics before buying. Size – This is an important consideration that many buyers overlook in their purchasing decision. A fixture on display in a lighting store may look large in the store but when mounted on the side of a house may look really too small. So before buying a fixture I recommend that you make a model of the fixture by cutting out a piece of paper or cardboard the size of the fixture and pinning it to your house. Then go down the driveway to the street and look at your house from a distance. How does the fixture look? Too big, too small or just right? Glare – My biggest gripe with most exterior lighting is the amount of glare it produces. A prime example are the flood lights that many people mount to the garage that come on when somebody drives into the yard. How does that help you see anything! The glare of the lights blinds you so you can not see anything until your pupils dilate again. You do not need much light outside when it is dark; it is the contrast produced by a little light that helps you see, think of the moon. (Also, the neighbors might not like the light pollution produced by glarey exterior fixtures). So I recommend you buy fixtures that do not produce glare and use frosted light bulbs. usually a better value and it shows! If you plan to live in your house for a while buy a better fixture once rather than a cheap fixture twice or three times, especially if you live in a harsh climate, like almost everywhere. Salt air, ice, wind, excessive sun and heat are all tough on an exterior fixture. Better quality is usually noticeable also. Dark Sky – These fixtures are being mandated in a lot of communities for good reason, they contain the light and prevent it from spilling over and causing light pollution. This is especially important in sensitive areas where the night sky is still visible. They provide security and safety and do not allow light to escape into the night sky. I am a big advocate for dark sky fixtures for lots of reasons, no light pollution and no glare to name two. Style – Style is purely a matter of personal taste. Styles range from Colonial America to Mission to Ultra Modern and everything in between. Chose what you feel looks good on your house. It is your house after all. There are all sorts of different finishes available too. So, for example, you can see the same fixture in a dark brass, raw copper, antique brass, green verdigris, raw brass or mission brown finish. They all might look great, but pick the one that you think will look best on your house. 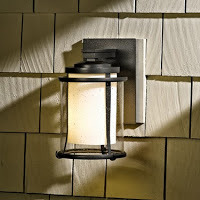 Exterior lighting is important for safety and security, and it also enhances the appearance of you house. Visit an independent lighting showroom for the best quality and design options. Visit us at www.fogglighting.com and like us on Face Book. Be sure to download the UL app, “LightSmart” from the app store for all kinds of useful information about lighting. Lighting Makes All the Difference When Buying Clothing! How many times have you used a dressing room in a clothing store to try on a garment before making a purchase? Lots of times, right. How many times have you gone into the dressing room and said to yourself: “Wow, this dress really looks great.”? Chances are that when you were “wowed” it is because the lighting was great – the lighting fixtures were placed appropriately, the color temperature of the light bulbs was flattering, and the color rendering index of the light bulbs was close to 100. It is amazing what a difference lighting makes in how you look! Great lighting makes you look like a million bucks. Poor lighting washes out your complexion, distorts the color of your clothing and adds unflattering shadows on your face. Why then would a retail establishment, trying to sell clothing, not invest what it takes to make their dressing rooms the best they can be? The new Ann Taylor rooms have six sources of lighting and three types of bulbs, compared to one source and type of lighting in the old design. The mixture of ceramic metal halide, compact fluorescent and low-voltage bulbs is more flattering, Ms. Dorfman says. 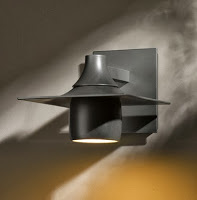 Please visit us at www.fogglighting.com, like us on Face Book and call with all your lighting questions. I like helping homeowners and business owners achieve optimum lighting. Download the free UL app “LightSmart” from the App Store for all kinds of useful lighting information. Reliable data about the energy use of lighting products, together with numbers about the types and the quantity of products sold into the residential market, has become an increasingly important part of ALA activities in recent years. I pay particular attention to lighting energy data and the mix of light source products in various lighting applications. Those numbers indicate market trends and information about the technology being used. Demographic numbers are a good predictor of market activity too. An example is the market for elderly-friendly lighting which is growing because every day more than 11,000 people reach 65 years of age in the U.S. Starting in 2002, the U.S. Department of Energy began publishing detailed lighting inventory and energy consumption data by sector – residential, commercial, industrial and outdoor. An update was published in 2012 based upon 2010 data, but last December, for the first time, residential lighting energy use was examined in detail. In U.S. residences, the average daily use per bulb is 1.6 hours. Household lighting energy use varies substantially by region but averages 1,700 kWh/home per year. New York and California use the least averaging less than 1,500 kWh while states including Montana, Wyoming, Arizona and Missouri used the most averaging over 2,100 kWh per home annually. The cost of energy used for residential lighting also varies by region, but total home lighting energy costs range from $200-300 per year. Bulbs in bedrooms, bathrooms, living rooms and kitchens consume the most lighting energy in the average home. 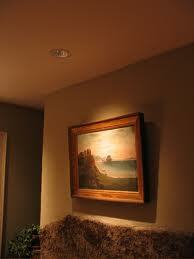 Dimmers control only 4% of the bulbs in the average home and almost 80% of those bulbs are in ceiling fixtures. Incandescent bulbs (2010 data) remain the most widely used light source in homes (They are in more than 62% of the sockets); but the use of CFLs and LED bulbs has increased with CFLs at slightly more than 20% of the socketson average (also 2010 data). Since the 2010 data above didn’t include the rapid growth in the use of LED bulbs during the past couple of years, I looked at another DOE report which uses the same database, but which analyzed the LED adoption rate over the 2010-2012 time period. Adoption of Light-Emitting Diodes in Common Lighting Applications. What the 2010-2012 report shows is that the conversion of residential sockets from standard incandescent to halogen incandescent, CFL or LED bulbs has rapidly increased over this last two-year period. Some of that increase is due, of course, to the phase-out of standard incandescent bulbs; but lower prices for CFL and LED bulbs, better bulb performance, more product choice and market activities such as rebates and the entry of new manufacturers into the market have all played a role as well. Of the “A-line” bulb sockets, 62% of the 3.2 billion in homes contained standard incandescent bulbs in 2010. That number has now dropped to 55%. But, LED bulbs, even though some 20 million have been installed over the last two years, still fill less than 1% of the total available sockets. The next two years, however, will likely see a dramatic change in those numbers because of the phase-out of the standard 40 watt and 60 watt bulbs beginning on January 1, 2014. Those two bulb types represent almost 60% of the standard bulb market. The big question is: What will consumers put into those sockets as the conventional bulbs are replaced? The answer to that question will make 2014-15 an unusual and interesting time in the lighting business. What are you going to put in your sockets? That’s the question that you have to answer for yourself. Please visit us at www.fogglighting.com and like us on Face Book. Be sure to download the UL app, LightSmart, for all kinds of interesting lighting information. When buying a ceiling fan there are several factors that should be examined before making a purchase. A ceiling fan is basically a motor with blades suspended from a ceiling. Pretty straightforward yet there are huge quality differences that can impact you and the comfort of your home. Putting aside all style considerations, motor size, AC or DC motor, blade pitch, blade arms and mounting hardware are the factors you should familiarize yourself with before buying a fan because these are the factors that determine the airflow, measured as CFM, the efficiency and the quiet operation of a ceiling fan. Motor size is measured in millimeters. A small motor might be 144 x 10mn whereas a large motor might be 188 x 22mn. Blade pitch should be at least 14 degrees. Blade arms should be sturdy metal, strong enough to accommodate the blades. 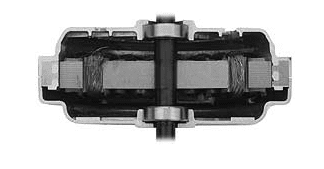 A DC motor is more efficient that an AC motor, but it is more expensive to purchase initially. Look carefully at all the specifications before making a purchase. You will have the fan running most of the time so you will want it to be quiet and capable of moving air. Please visit us at www.fogglighting.com, like us on Face Book and come see us for expert help for all your lighting and ceiling fan requirements. Three essential types of lighting are Ambient, Task and Accent, sometimes called the triple crown of interior illumination. Ambient Lighting, also called general or overall lighting, provides the light necessary for safe and effective interior illumination, allowing hazard-free navigation of the interior space with minimal shadows. Usually a ceiling fixture meets the requirements of good ambient lighting. To determine a room’s ambient lighting requirement multiply the room’s square footage by 1.5 to get the minimum number of incandescent watts necessary. You can then translate those watts into fluorescent or LED wattage equivalents if you like. Ambient is only the base layer in a well designed lighting plan which also could include wall sconces, floor lamps, recessed lights or picture lights. Task lighting focuses light on tasks that are performed in a given room. It is a layer of light that should be used in addition to, not in place of, ambient and accent lighting. 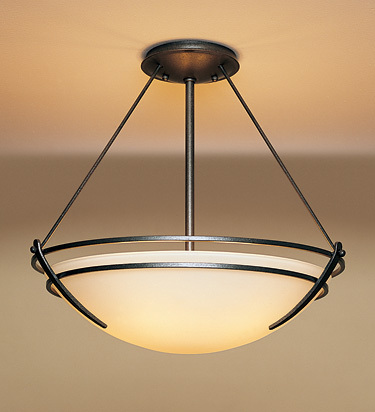 In most homes, kitchens, laundries and bathrooms require the most task lighting. But the requirement of these three room require different types of task lighting. Kitchens need recessed lighting in the ceiling aligned with the front edge of the lower cabinets in addition to under cabinet lighting and some kind of ceiling fixture and/or pendants. Bathrooms need wall sconces on either side of vanities for optimal light for makeup application and shaving. And laundries need bright ambient light to facilitate separating colors and to provide light for ironing and folding. Accent lighting is used to light art, sculpture or interesting architectural features like stone fireplaces. It is the layer of light that gives a room “texture” and interest and dimension. 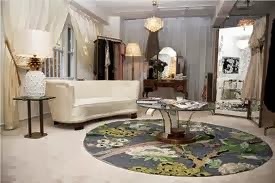 It lets you focus on the interesting features that are in the room. Some people think that accent light should be up to three times brighter than surrounding ambient light. I do not necessarily agree with this thought. I think accent light should not distract, but rather enhance, the ambiance of the room. Wall sconces, picture lights and directional recessed lights can all be used as accent lighting. And remember, use dimmers on every light in the house. They cost a little more than switches, but they allow so much greater control over the lighting that they can really make a lighting plan “pop”. 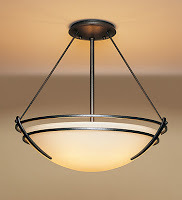 Please visit us at www.fogglighting.com, like us on Face Book and call with all your lighting questions and needs. We help people light up their lives! Lighting and the Visual Environment for Senior Living. Generally, the visual requirements for senior citizens are different than for the younger generation because of changes in the eye and in the visual nervous system. With age, the pupil becomes smaller thus reducing the amount of light that can enter the eye, the lens becomes yellowed thereby scattering light, reducing contrast and reducing the ability to focus, and ocular disease is more prevalent in older people. 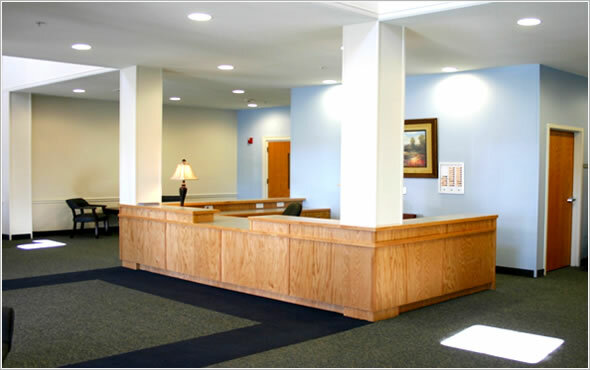 All these factors contribute to the special lighting needs of the senior population. Great Lighting for Older Eyes! Unfortunately, in my limited experience with two elderly parents and a parent-in-law, lighting in elderly residences is far from “optimal”. It was more like the photo on the right with lots of glare and poor contrast. Shiny floors and overhead bright recessed lights cause glare both from above and from the reflection of the light on the floor. Hospitals are the same way. And unfortunately the lighting in most homes is installed by the electrician or contractor without regard to proper lighting techniques (for any age group). 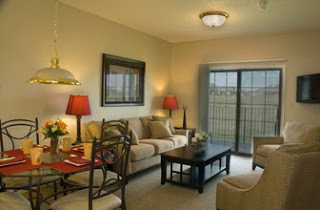 A well lighted space will be a well lighted space for any age…it is timeless. Plan ahead when lighting your new home or renovation. A good lighting plan will pay you dividends forever. Please visit us at www.fogglighting.com and like us on Facebook. Also, download the UL app “LightSmart” which has lots of good lighting recommendations. Call me at 207-797-7568 for your lighting needs.